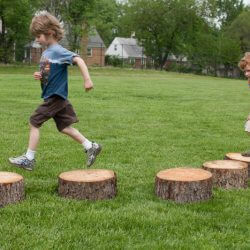 Stepping Boulders for the natural playground are perfect for children to walk on, developing balance, agility, and body awareness while learning how to balance on uneven surfaces. Place the boulders close together and children can walk from boulder to boulder. 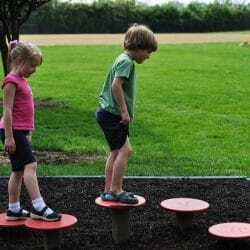 One or two of the boulders are more flat and are easier to walk on while the other boulders are less flat and are more challenging to walk on, providing learning opportunities for children at different levels of gross motor development. 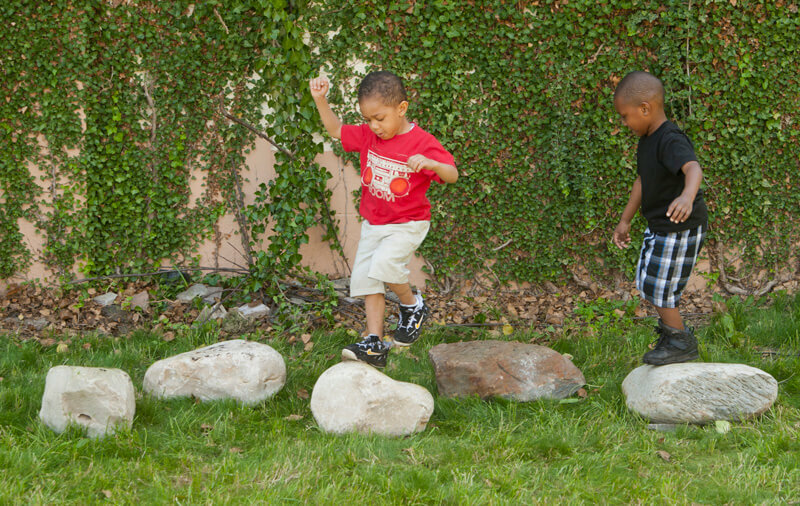 Stepping Boulders can also be placed together in a circle on your natural playscape to provide a quiet seating area for children to sit and hear a story.